Janaka Maharaja had given the definition of bhakti to Lord Rama’s brother, Bharata. “Anyabhilasita-sunyam, jnana-karmady-anavrtam, anukulyana krsnanu-silanam bhaktir uttama. 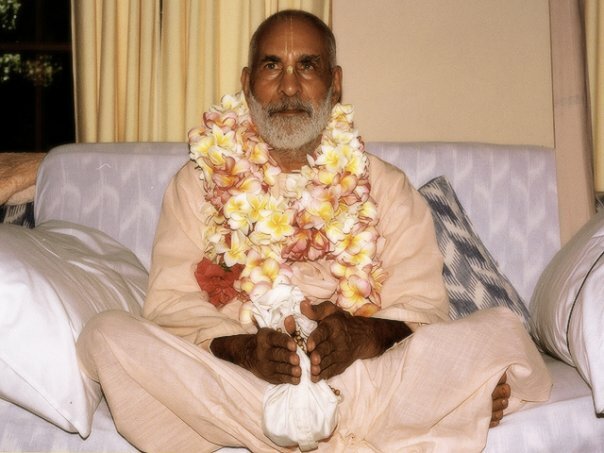 One who has no other desire than to please Krsna, and who is not influenced by the process of jnana-marga (cultivation of knowledge) karma, and so on, is situated in pure bhakti.” The king told him that nothing can control prema (pure love of God); it has its own law. One who has prema will always consider the desires of his object of love. He has no personal interest. He will always think, “How will my beloved be pleased?” Our real purpose is to please our worshipful deity, God and Guru; not to please ourselves. Having heard this from Sumanta, Laksmana realized that his brother Rama is in fact the Supreme Lord Visnu. Sumanta continued telling Laksmana the story that Durvasa Muni had told to Dasaratha Maharaja: “Once, a very big battle ensued between the demigods and the demons. The demons were defeated and went to the wife of Brghu Maharaja to take shelter; and, being very merciful, she gave them shelter. The demigods went to Lord Vamanadeva and told him the situation. He then took His cakra and beheaded Brghu Maharaja’s wife. Brghu Maharaja was very upset and cursed Vamanadeva saying, “You are responsible for my wife’s death. I loved her very much. Now I will have to suffer so much in separation from her. For this I curse you that you will have to suffer in the same way in the future. You will have a very beautiful wife who will serve you in every way. You will be fully satisfied and completely enamored with her feminine grace and charm, and her saintly qualities. You will then be separated from her, and you will always suffer immensely from that pain of separation.” Hearing this, Vamanadeva happily accepted the curse. He knew that in the future the whole world would be benefited by this. Also, this was but a pretext, as separation naturally increases the happiness of meeting. At this time Brahma, Sankara, and many demigods and goddesses came, curious to see this event. Sita devi sent Luv and Kusa ahead to their father. She arrived thereafter, and Valmiki spoke gently to her, “O daughter, Sita devi. Come forward and prove your chastity.” Sita devi said, “Mother, please prove this to one and all, that I have never served any other man. I have never even had thoughts of any man other than Rama in my whole life. 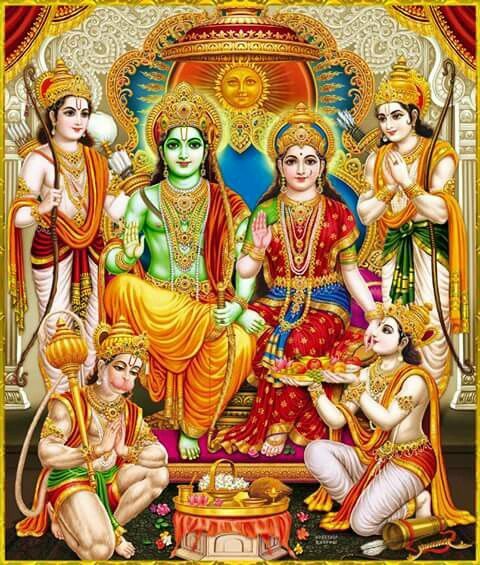 Please accept me, mother.” Pritivi-devi appeared from the earth and Sita sat on her lap on a golden throne.